Prices at the Gulf Station near Limecrest Road in Andover Township. Photo by Jennifer Jean Miller. SUSSEX COUNTY, NJ – While reporting on the last article in the Penny Pincher section about “white gold” aka milk, and how to search for the best prices in the stores, this article will focus on the price for something else that comes by the gallon…gas prices in our area. In driving around recently, it was amazing to see how quickly prices can vary from station to station, and how easily even those few pennies can rack up. And geographically, how quickly that can change. For example, I was surprised to learn that prices for gas at Newton’s Quick Chek the other day were higher than that of Sparta. And then I voyaged by Hopatcong on Sunday, and found the prices even lower. I found Quick Chek, however, in Jefferson, to be more expensive than the others when I have driven past. Gasoline is a commodity that most of us also, of course, need, and these days we don’t have a choice but to pay astronomically high prices. Gone are the days for now, of $1.99 or less at the pump (though I do remember when it plummeted around there in 2008 for a brief time, before climbing again). Back in my younger years after first earning my license, I remember my grandfather always suggesting I fill up at a small gas station near the outskirts of his town in Bergen County, before making the trek home. In those days, it was about .99 cents a gallon there, which was of course a bargain by today’s standards, and was a decent price in our day and age. Gas for many, is an impulse purchase. We often, in our busyness, rush around and may not seek to fill up, until we hear that “ding” alerting us that our tank is low. In the days now of tighter budgets and astronomical fuel prices, some of us wait until we are on fumes before filling up. I will say, don’t trust those gadgets that tell you that you’re going to get some great mileage and fuel economy by inserting one of those silly devices in your engine. After speaking to someone I know about this at Consumer Reports, they told me after I contacted them about one that was in my car and didn’t do much for me (and likely actually taxed my car even further in terms of fuel economy), that most of these things are bunk anyway, and the claims about fuel economy are exaggerated. No fuel pill or device at this stage, can save anyone money. Otherwise, they’d be standard in every single car, and the way that the economy is now and how crazy gas prices have risen, a product like that would be flying off the shelves. What does work in saving money on fuel, are some common sense tips, combined with searching for the actual prices…which I do both in this article. One of the main ways to save on gas is to check prices around the area. I will be providing websites and more later in this article with that information as to how to find out the prices on fuel the most easily. But there are other tips, and they don’t include the so-called hoax-y fuel saving devices that I’ve mentioned in this article already. Good Housekeeping suggests, for example, cleaning your air filter to improve mileage by about 10 percent, aligning your tires to do the same, filling your tires, tuning up your engine, ensuring your gas cap is not broken or missing, driving more conservatively (driving 5 mph slower can save about 7 percent fuel per Good Housekeeping), limiting braking (this cost savings measure can save about 35 percent extra on fuel), limiting vehicle weight, and limiting idling. Forbes has offered additional tips for fuel saving such as discounted gas gift cards, using a gas rewards credit card for purchases, saving fuel purchases by making fuel purchases on Wednesday or Thursday before 10 a.m. (Forbes states that gas prices rise after 10 a.m. on Thursdays, and gas purchases are most expensive on Fridays, Saturdays, and Sundays, and even more around Holiday weekends, such as Labor Day coming up). The website for the U.S. Department of Energy mentions all of the above tips, plus one of the obvious, which is planning and combining trips to save on fuel, and considering a more fuel efficient vehicle. So, how do you save on the prices at the pump? Of course, if it’s possible make a mental note of places you know where prices are more competitive to gauge, that’s one way…but that can get cumbersome. If you don’t know, why not check one of the handy websites or apps that are available and help to show where the best prices exist these days? NewJerseyGasPrices.com, powered by GasBuddy.com is one site. Click here to go to the Gas Price Search section. or directly on the GasBuddy.com site, where there is a search by county as well. Once there, it’s simple to find the lowest prices in your geographical area, by fuel type (which of course is another way to save, and I was always told if your engine is performing fine and is not “pinging” to always fill up with regular…that the other grades are also just a money-making gimmick). Members of the GasBuddy.com site input the prices, which are ranked within the last 24 hours. The site offers a breakdown by nearby zip code, as well as other stations in the area of that zip code. I typed in the zip code for Newton (07860), and today, Busy Bee, GasaRama and Quick Chek in Newton by the ShopRite, list the lowest prices at $3.15 each. 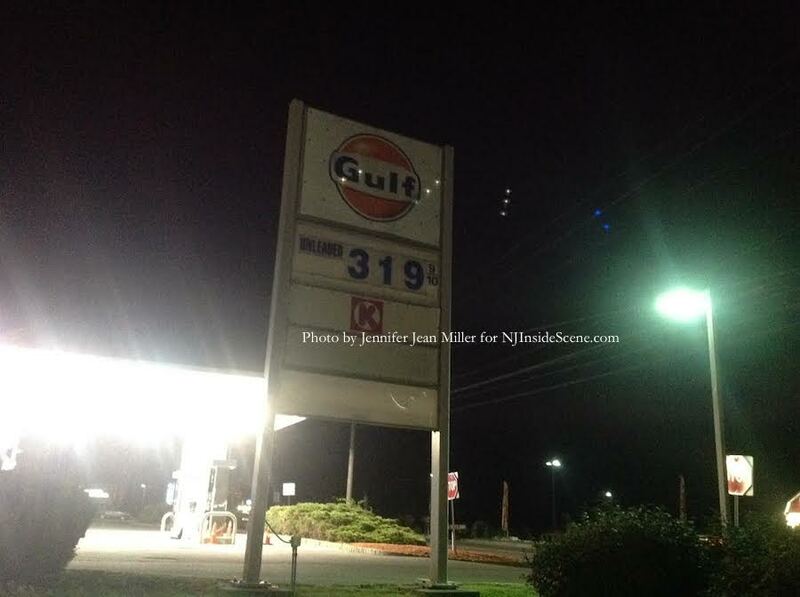 The photo in this article, taken yesterday evening, August 25, shows the price of the Gulf Station by Limecrest Road at nearly $3.20 per gallon. Today, NewJerseyGasPrices.com has that station listed for $3.17. As evidenced by my “geographic” experiment on Sunday where I was located in Hopatcong Borough, prices in the Hopatcong/Budd Lake area are showing $3.11, which is what I paid when I was there, according to the GasBuddy.com website. When inputting the zip code for Sparta (07871), it yields gas prices of all different ranks, with Quick Chek in Sparta at $3.17 for Quick Chek. Prices in the surrounding area, by Stanhope and River Styx area of Hopatcong, are currently $3.11 and $3.13 a gallon respectfully. Numbers begin to climb from there, with prices exceeding $3.20 per gallon in some areas, such as the Exxon in Jefferson at $3.25 per gallon only an hour ago. A person can also do a search of gas prices by town name. For example, I typed in Franklin, NJ and several stations popped up with the Hess at $3.17 per gallon, the Quick Chek second at the same price, and the Shell third at $3.19 per gallon. Closer to Newfoundland though with the search, “Franklin, NJ,” the Delta on Route 23 was $3.12 per gallon this morning, and the Sunoco in Oak Ridge at $3.15 per gallon, for those headed in that direction. What about for those who need to gas up in the Route 15 South direction? As mentioned earlier, it was $3.25 today at the Exxon in Jefferson, which is typically a more expensive station anyway. I wouldn’t gas there normally unless it is a dire emergency. Otherwise, prices in Jefferson seem to rank $3.19 a gallon between Woroco, 76, and Quick Chek, which is typically more costly than Sussex County. Even further east in Parsippany, users of GasBuddy.com have reported the gas prices at the Wawa near Edwards Road at $3.15 today, and the Shell by New Road at $3.35 for cash (that’s another price raising issue at times, that gas costs can increase in some cases, if one is using a credit card versus cash). Thinking prices in a place like Wayne might be more costly than Sussex County, the prices appear comparable, some even less, with AB Trading on the Hamburg Turnpike reporting $3.07 a day ago, and Delta $3.09 for cash prices. Quick Chek in that area is $3.15 per gallon as of yesterday. Further East towards Clifton, gas prices begin, according to GasBuddy, at $3.11 at Costco (which is open to all, whether they are members or not), and up to $3.49 per gallon for Shell. What is the draw for those reporting gas prices to help? Users of the GasBuddy.com site can win free gas, in the form of prepaid gas cards, with $100 cards given away daily. One can get a GasBuddy App on their phone, by clicking here, or here or by clicking this link to access the mobile site from any mobile device. Another app is the Gas Guru through Yellow Pages, available on the App Store and Google Play. These prices however are gathered by OPIS (Oil Price Information service). The Yellow Pages gas search feature is not accessible unless you subscribe to the App., which is free…but prices can’t be found via an Internet search, unlike Gas Buddy. The U.S. Department of Energy lists New Jersey Gas Prices broken down by cities and region, as well as the ability to search for gas prices in other states. Motor Trends, AAA Daily Fuel Gauge Report, and Map Quest, also feature gas price searches, also available by the Internet. Liked what you read here? 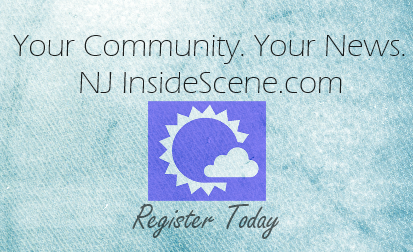 Continue to get the “inside scene” on a variety of penny pinching tips, and click here to follow NJInsideScene.com on Facebook.